To resolve this, just restart Visual Studio even if you’ve only just opened Visual Studio fresh anyway. Don’t waste time fiddling around with a perfectly fine web.config. 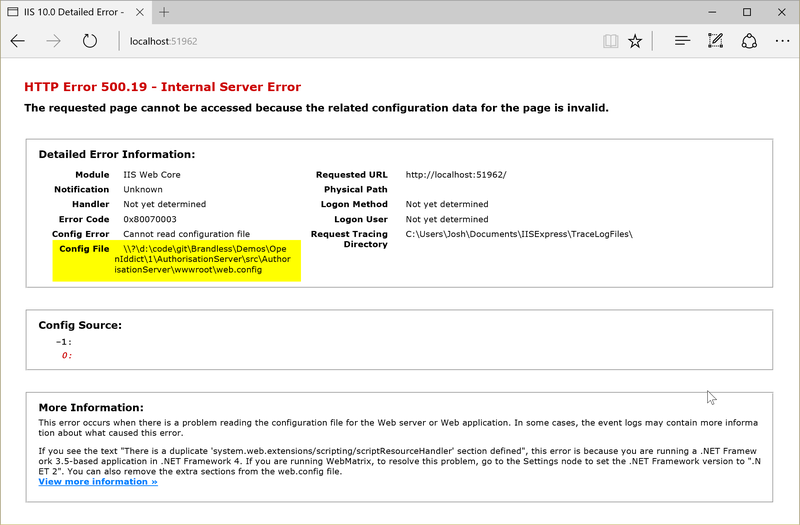 I guess it is a teething problem with the latest version of IIS Express.